I often think the same thing, I want to see so many things but in doing so I will destroy some part of it no matter how careful I am. Should I be so selfish? 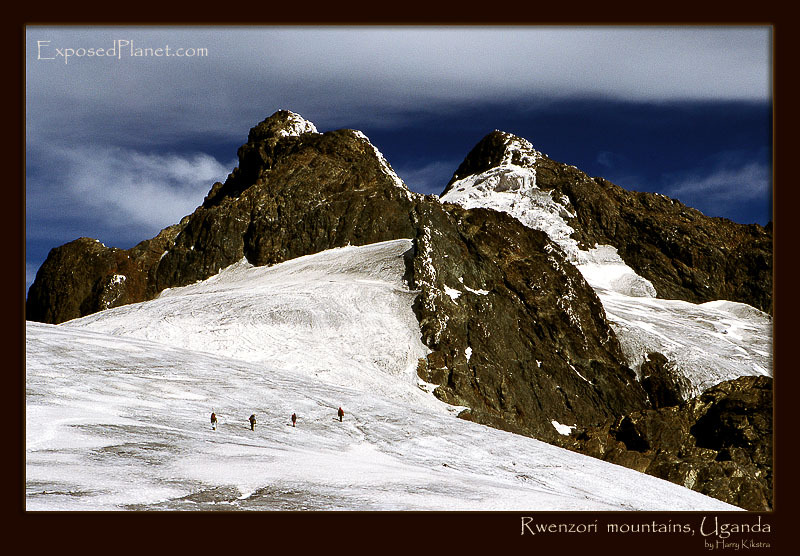 The story behind "Glaciers on the Rwenzori mountains, Uganda"
The ancient Greeks and Egyptians already wondered about the source of this strange river coming out of the Sahara desert. They though that there must be a range deep inside the African continents, which they called The Mountains Of The Moon. The search went on for many centuries, but only the team of Stanley (who found Livingstone at the foot of these mountains) finally saw these mountains on the border of Uganda and the Congo, after many other expeditions had just seen the eternal wall of clouds surrounding them. But the view as above is quite rare in many ways. Not only are these glaciers mostly hidden my eternal mists of the rainforests, but since the first climb 101 years ago by Luigi Amedeo, the Duke of the Abruzzi, more than 80% of the glaciers’ surface has disappeared. The hut from where we started to climb the 5109 meter high summit Margherita Peak -which can be seen in the back- was built next to the glacier, for easy access. Now we had to scramble 200 vertical meters before we could even see the ice.. The route description from a few decades ago mentioned that you could follow the glacier to the summit, but nowadays it has receded so a steep rock face remains to be climbed before you can step on the 3rd highest peak of Africa. Shot with Canon Eos3, with Sigma 15-30mm lens, on provia slide, scanned later.